We all know it can be a challenge to bring the family together for a sit-down dinner. Working late, sports practices, music or dance lessons, homework and a million other things pull at every member of the family—so it just feels like there isn’t enough time to gather, much less cook! Ring the dinner bell and watch everyone come running with something so easy and so fun—a hefty, hearty and humongous sandwich! Better yet, have everyone pitch in on the prep for a little extra bonding time. Parade the whole shebang out to the table ceremoniously, and dig in. 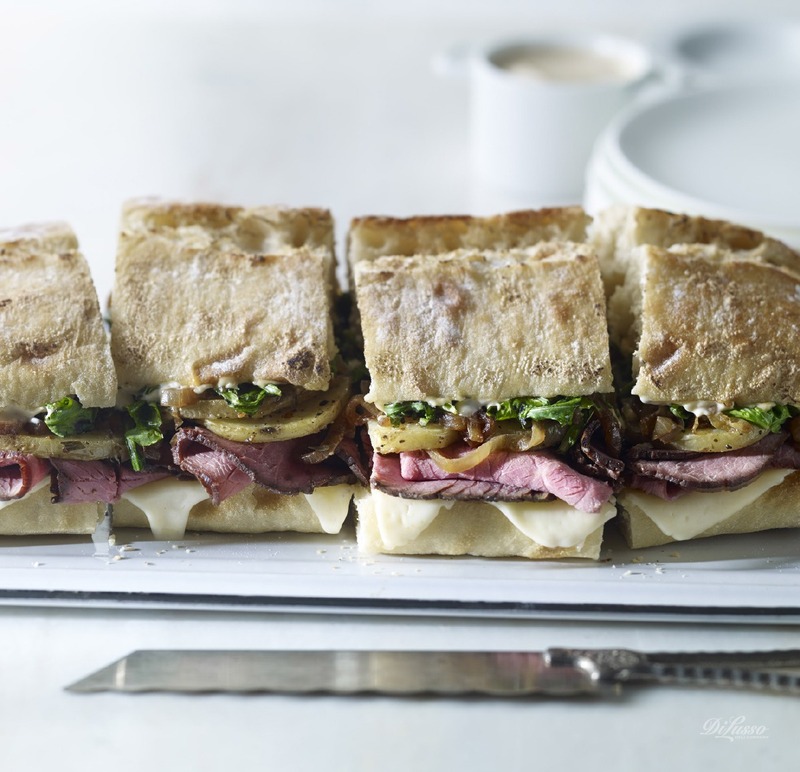 Our Roast Beef & Potato Family Ciabatta is truly delicious, piled high with enough protein and potatoes to fill everyone up. You could also change it up by using any DI LUSSO® meat and cheese combination. Be generous: you want to satisfy dinnertime hunger pangs. This would also be a great option for a kids’ party or impromptu dinner guest!